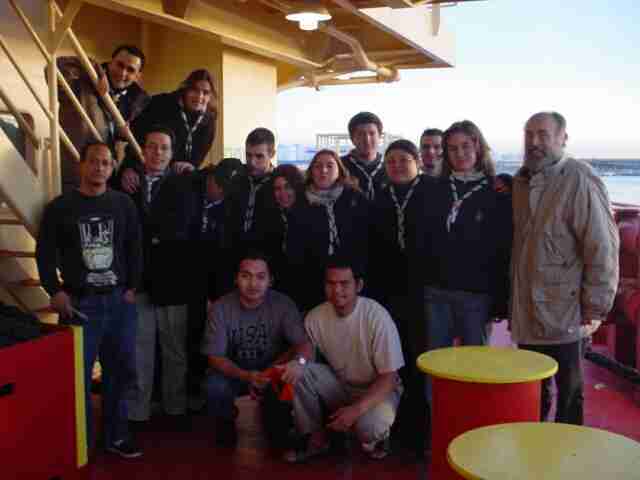 The Apostolate of the Sea of ​​Barcelona watches over the welfare of seafarers, including the spiritual aspect. 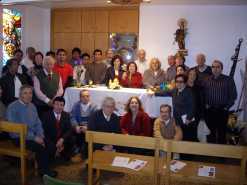 In the chapel of Stella Maris the holy mass is celebrated every Sunday at 10.30 in the morning. Apart from this, the most important liturgical parties such as Easter and Christmas are celebrated, and also sporadically weddings and baptisms. In the Chapel of Stella Maris there are Bibles in a wide range of languages ​​available to sailors. If requested in advance, missiles may also be organized on board the ships. Religious assistance is also offered from other confessions such as Anglican, Lutheran and Orthodox; In case you want any of these services you can contact Stella Maris or the respective communities. On Christmas Eve, a group of scouts from the sea, accompanied by Stella Maris, board the boats to give their crews with small cribs, built by themselves. In the Apostolado del Mar de Barcelona, ​​every Christmas religious festival, such as the Misa del Gallo (December 24) or the traditional celebration of Reyes (January 6), are celebrated every year. It tries to create a festive atmosphere, not only with regard to religious services, but also creating a family atmosphere to those who are so far away from their homes. Occasionally they celebrate marriages of marines and baptisms of their children. 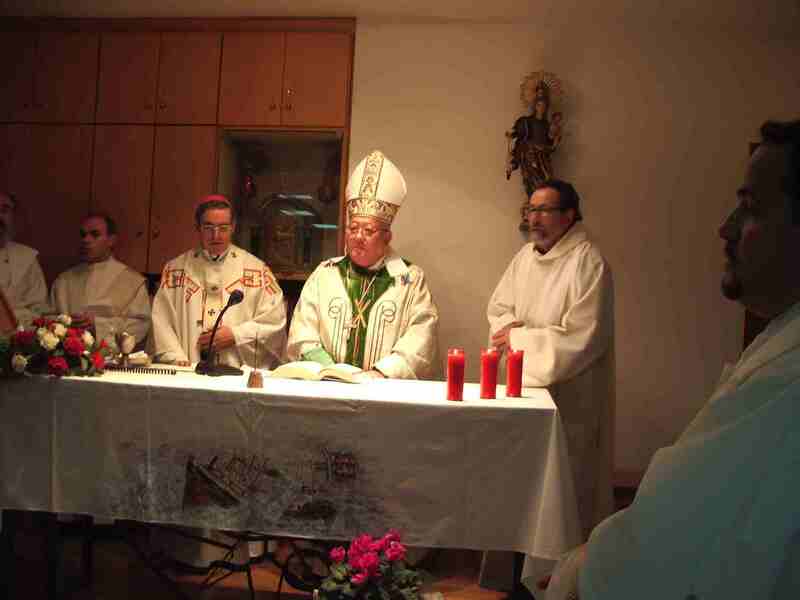 The Apostolate of the Sea of ​​Barcelona also offers the possibility of a priest boarding for a period of 1 week or 10 days. For this service it is necessary to request it with 3 or 4 weeks in advance. 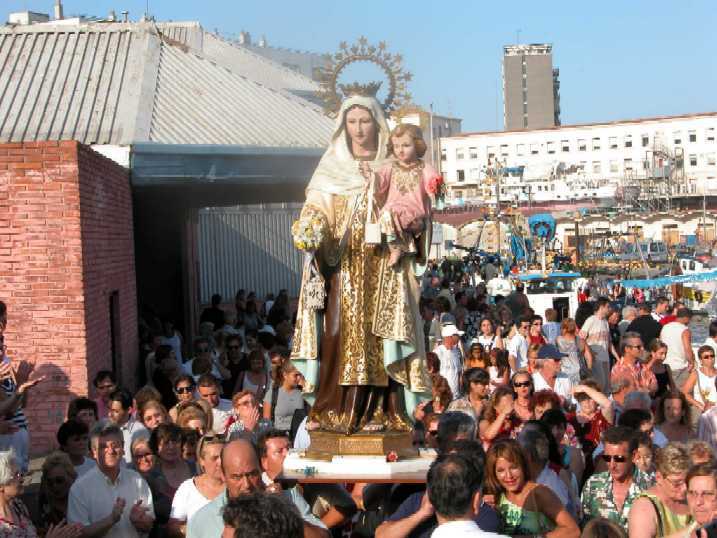 Every year is celebrated (the next Saturday on July 16) the procession in honor of the Virgin of Carmen, patron saint of the people of the sea. The image of the virgin is shouldered by the fishermen from the Plza. from La Barceloneta to the Muelle del Reloj, where it is boarded aboard a fishing boat and strolled through the harbor waters. Numerous fishing and sporting boats follow the procession. Next, the Holy Mass is celebrated in the mentioned pier and a crown of flowers is celebrated in honor of the deceased sailors in the last year.